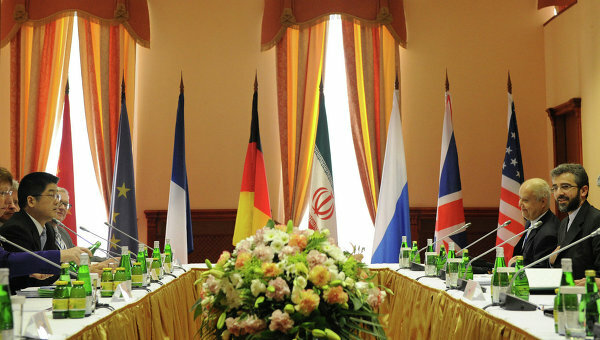 Talks began today in Moscow between Iran and the “P5 +1” (the five permanent member nations of the UN Security Council plus Germany). I’m hoping against hope for a breakthrough, but it’s certainly not looking good. For a sane and balanced take on Iran, I’ve long turned to Trita Parsi, founder and president of the National Iranian American Council, and one of our foremost experts on US-Iranian relations. In a recent NY Times op-ed, Parsi identified precisely why Obama has precious little room to maneuver going into the Moscow talks. In a word: Congress. Congress is actively seeking to make a deal on the nuclear issue impossible by imposing unfeasible red lines, setting unachievable objectives — and depriving the executive branch of the freedom to bargain. If Iran agrees in Moscow to accept the American demand that it halt uranium enrichment at the 20 percent level — too low a level to quickly create a nuclear weapon — this would effectively obstruct any Iranian shortcut to a bomb. Congress must then give Mr. Obama the political space to be able to take yes for an answer. Congress must make up its mind. Does it want to prevent an Iranian nuclear bomb or does it want to maintain its sanctions? Going forward, it can’t have both. As if to put a period on Parsi’s analysis, last Friday 44 senators (23 of whom were Democrats) sent a letter to President Obama demanding that he insist upon three “absolute minimum steps” for continuation of talks: shutting down the Fordow nuclear enrichment facility, freezing all uranium enrichment above 5%, and shipping all uranium enriched above 5% out of the country. If the sessions in Moscow produce no substantive agreement, we urge you to reevaluate the utility of further talks at this time and instead focus on significantly increasing the pressure on the Iranian government through sanctions and making clear that a credible military option exists. As you have rightly noted, ‘the window for diplomacy is closing. Iran’s leaders must realize that you mean precisely that. If you needed any evidence of Parsi’s claim that Congress is “actively seeking to make a deal on the nuclear issue impossible by imposing unfeasible red lines, setting unachievable objectives — and depriving the executive branch of the freedom to bargain,” this letter provides it. The writers and signers of this letter clearly know full well that these demands will be a non-starter for Iran. an AIPAC device for scoring senators in an election year. Those who sign will be rewarded or left alone. Those who don’t will hear from AIPAC and its friends. Not a pretty possibility. OK, I’ll say it: the role of the Israel lobby in the Iran issue has been nothing short of shameful. And at times openly, brazenly disingenuous. Among the more odious examples: the Emergency Committee for Israel, (what you might call the more “zealous” wing of the lobby) recently released a 30 second scare-ad that proclaimed, among other things, that “Iran has enough fuel for five nuclear bombs” – a spurious claim which belies that fact that Iran currently has no weapons grade material at all. Yes, this election year gives Obama precious little room to maneuver – and the lobby is clearly doing everything it can to exploit this. But since Obama has repeatedly bent over backwards to prove his allegiance to Israel and AIPAC, I don’t see how bowing to these latest salvos will do much to significantly improve his electoral prospects. And since he’s going to be excoriated by his political rivals no matter what he does, why not stick to his own administration’s stated policy, behave like a statesman and push for a diplomatic success? After all, who should be determining Obama administration negotiating strategy – the Obama administration or Congress/AIPAC? When you consider that the alternative is another ill-advised march to another disastrous Mideast war, the stakes could not possibly be higher. Pray for a breakthrough in Moscow this week. PS: I’m honored to be discussing this issue further in a dialogue with Trita Parsi entitled “Can War with Iran be Averted?” on Thursday, June 28, 7:00 pm at Jewish Reconstructionist Congregation in Evanston, IL. Click here for more details. This entry was posted in American Jewish Community, Iran, Israel, Politics, UN, War on June 18, 2012 by Rabbi Brant Rosen. As left wingers, we make our selves irrelevant with over-simplistic posts like this one. First of all, Congressional Resolutions and letters are non-binding. Second, MJ Rosenberg works for a left wing think thank (Media Matters) – while he has a background in Middle East issues, he is not an objective Middle East analyst. Third, click through to Parsi’s web site and watch him on the Daily Show. He gives a very interesting analysis of the Iranian situation that shows what an incredibly complex, multi-dimensional issue this is. Who knew Brazil was involved in the issue? Rather than cast aspersions on the analysts I quote, perhaps you’d like to address the substance of my post? With all due respect, I don’t see how I’m casting aspersions on the folks you quote. I’ll leave it to the readers of the blog to decide: objective analyst or advocate by reading Rosenberg’s own blog here: http://mjayrosenberg.com/. Parsi’s comments on The Daily Show are very interesting and well worth watching – his upcoming appearance at JRC should be fascinating. Having said that, Obama’s hands are certainly not tied by a powerless resolution or letter from Congress. Funny how we hear about Israel’s interest but not the Saudi’s similar interest in the situation.